I think that it is a good product. It is profitable with plenty of usable length in wide size. This review is about item#6588924. There is a designation of "blue / wide" from the customer, but in the neighborhood home center only blue is treated, and it is very rich because it is rare. This review is about item#6588872. It was decided on this width by the balance of the whole, but it was easy to use. This review is about item#6588845. This review is about item#6588951. It is made by neat manufacturer and can be used without problems. This review is about item#06588985. Although it is expensive, but the quality is good, I pasted it on a bumper full of scratches on grated, well colored and stuck beautifully. Can be used instead of a cutting sheet. This review is about item#06588967. This review is about item#06588872. Although I am going to purchase it several times, I think that it is easy to use and is a good one. I was looking for a tape that does not slip. I am happy because it is not easy. Just compared with others, the price is not cheap so I want you to lower it a bit. This review is about item#06588994. 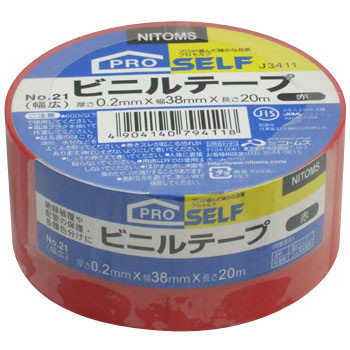 I used a nonadhesive refrigerant pipe protection tape for finishing the air conditioning refrigerant pipe, but I solved it after a while and did it without it. This tape has more thickness and it is extremely saved because it can not be unraveled. It will be the second time. Because it is transparent, it seems quite good to see inside. I recently purchased it here because it is not at Chin 's home center. The viscosity is too low and peels off quickly. I want a viscosity of 3 or more. This review is about item#06588951. This review is about item#06588915.